Rev. 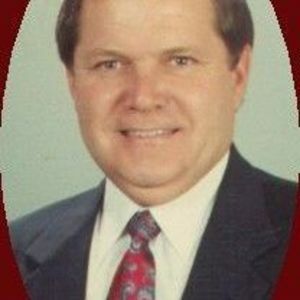 Harlan Bryan Williams, age 59, of Almo, Ky., died Sunday, March 26, 2006, at Western Baptist Hospital in Paducah, Ky. Rev. Williams was the Director of Missions for the Blood River Baptist Association. Rev. Williams was a graduate of Belmont University, Nashville, Tn. with a Bachelor of Art; Graduate of the New Orleans Baptist Theological Seminary with a Masters in Divinity. Rev. Williams was presently pursuing a Doctor of Ministry at Trinity Theological Seminary in Newburgh, Indiana. Rev. Williams was licensed at Eastwood Baptist Church, Cookeville, Tn. in 1965, Ordained at the Washington Avenue Baptist Church, Cookeville, Tn. in 1966. He pastored churches in Tennessee, Louisiana and Second Baptist Church in Russellville, Ky., before accepting the position as Director of Missions for the Blood River Baptist Association, which serves 51 Churches in Marshall and Calloway Counties. Rev. Williams Denominational Service included the BSU committee and the VBS Team for the Bradley association in Cleveland Tn., Discipleship Training Director and Assistant Moderator for the Tennessee Valley Association, Dayton Tennessee. His pastorate began in 1966-67 with Dodson Branch Baptist Church, Cookeville, Tn., 1967-68 Rucker Baptist Church, Murfreesboro, Tn., 1968-70 Big Spring Baptist Church, Cleveland, Tn., 1970-74 Wolf Creek Baptist Church, Bush Louisiana, 1974-75 Allons Baptist Church, Allons Tn., 1976-77 Jerusalem Baptist Church, Bush Louisiana, 1978-80 First Baptist Church, Apison, Tn., 1980-86 Ivy Memorial Baptist Church, Nashville, Tn., 1986-96 Second Baptist Church Russellville, Ky. He was the son of James Williams and Amy (Isom) Williams of Manchester, Tn. Son-Rev. Matthew Williams, wife Lea Ann of Mayfield, Ky.
Son-Nathan Williams of Murray, Ky.
Grandson-Isaac Williams of Mayfield, Ky.
Sister-Patricia Ferrell of Manchester, Tn. Arrangements are being handled by Collier Funeral Home, Inc., 211 W Fifth Street, Benton, Ky., where the family will receive friends from 12:00 PM to 2:00 PM Monday, March 27, 2006. Funeral service will be at Collier Funeral Chapel at 2:00 PM Monday, March 27, 2006, Revs. Matthew Williams, Wayne Carter and Joe Brooks officiating. Rev. Williams will lie in state between the hours of 10:00 AM and 12:00 Noon at the First Baptist Church, Manchester, Tn. Tuesday, March 28, 2006. Visitation will begin Tuesday after 5:00 PM until 8:00 PM at the Ralph Buckner Funeral Home in Cleveland, Tn., Funeral Services will be held at the Buckner Funeral Chapel at 1:00 PM Wednesday, March 29, 2006. Memorial Contributions are to be made to the; West Fork Baptist Church Building Fund, C/O Sarah Murphy, Treasurer 4188 Kirksey Hwy., Kirksey, KY 42054 or to Blood River Baptist Association, P.O. Box 18, Hardin, KY 42048.